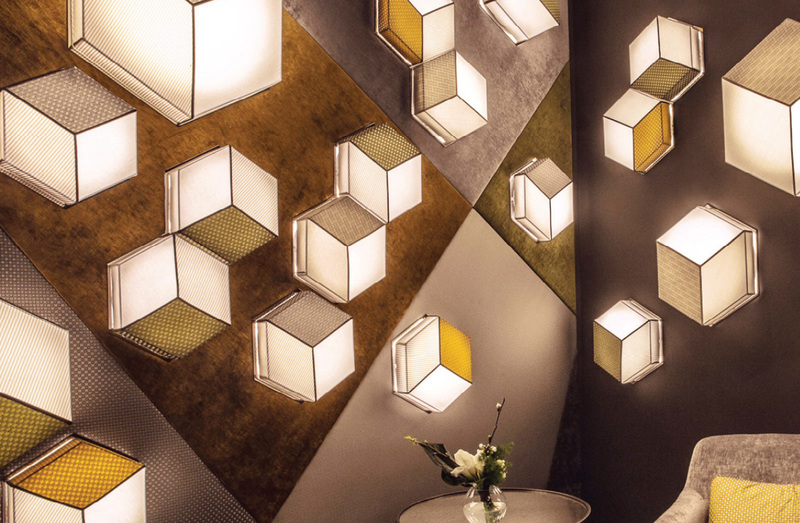 Geometric wall mounted sconce with silk fabric shade in contrast colors, and LED lamping. Available to order in multiple sizes as a single cube, or a double cube. Please see ADDITIONAL SPECS for sketch and swatches.